With over 6.5 million Members nation-wide, CAA is one of the largest and most respected consumer-based organizations in Canada, recently being awarded The Most Trusted Brand in Canada. 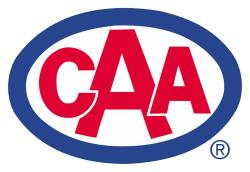 In addition to being the preeminent Auto Club in the country, CAA is one of Canada’s largest leisure travel agencies; it is a leading provider of insurance products, and offers Members everyday savings through its CAA Member Rewards program. At the heart of our business is our desire to provide our Members with peace of mind and quality service through our roadside assistance, automotive, insurance, travel and rewards businesses. We continuously strive to increase our relevance and enhance our value to Members and ensure we are socially responsible.